My second post on Craftaholics Anonymous as part of the 2015 Creative Team was posted today. This month I decided to go with an Easter project since Easter is less than a month away now. I made these cute little covers to put on plastic easter eggs. 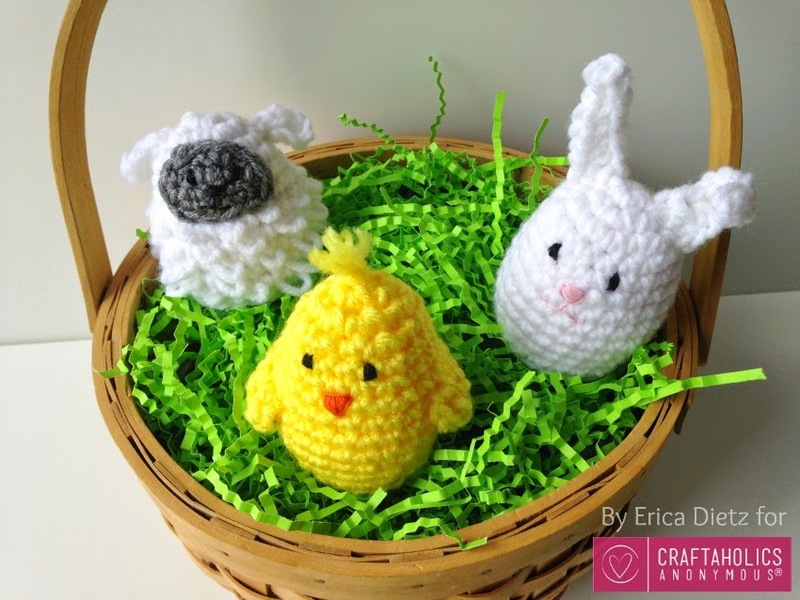 There is a pattern for a bunny, a sheep and a little chick. They are not very big so they work up really fast and would make a fun addition to an easter basket. They fit the regular size plastic easter eggs, the bottom is open so they slide on and off really easily. Just fill the egg with candy or little treats, slide the cover on and it is ready to stick in a basket or give as a little gift. I hope you enjoy this months project. You can find the pattern HERE.